Without a doubt, Facebook is THE place to be to build audiences and generate revenue. You know it, I know it… Every single marketer knows it. But with it’s decreasing organic reach, you’ll need to rely on Facebook Ads more than ever. That means your money is on the line, which is why you’ll want to know what REALLY works and what doesn’t work before you even get started. So, to bust all the myths and speculations, we’ve been analyzing 13 Facebook Ads case studies from various well-known experts. From campaigns spending $1/day to millions a year. Campaigns focused on bringing in hundreds of thousands in revenue as well as bringing in low-cost leads. 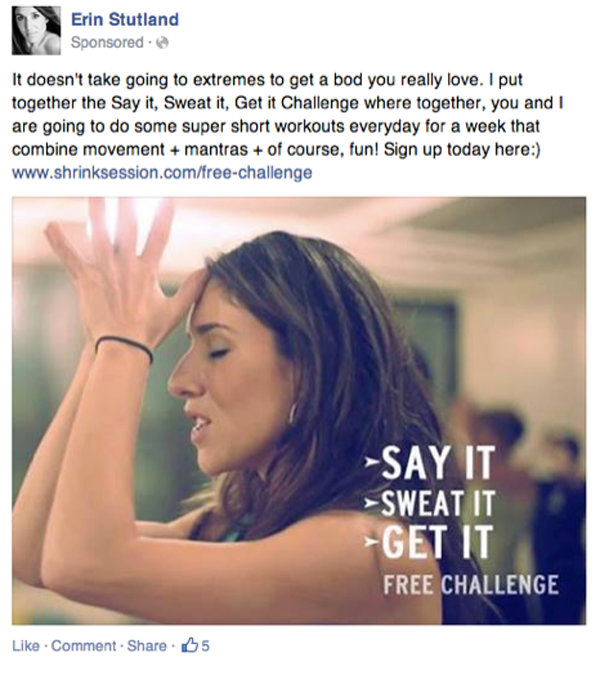 You’ll get to see it all in the following 13 Facebook Ads case-studies. Design Pickle is a design-as-a-service that provides unlimited graphics designing services under a monthly retainer fee. Being a newer concept and a service that requires a direct interaction of humans ( as in passing design briefs and requirements), it is hard to promote the service using standard means. They directed the Facebook Ads traffic to a long-form signup form so they would weed out potential customers from onlookers. This was deliberately done as people that go on to filling the long form were most likely to be interested in the services. Although they were able to capture some leads, the best part came when they started using retargeting. 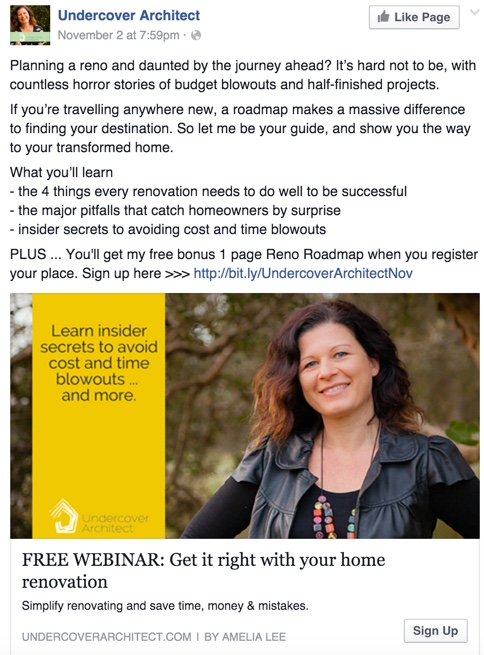 Want to get more results from Facebook Ads? Check out our free targeting training here. 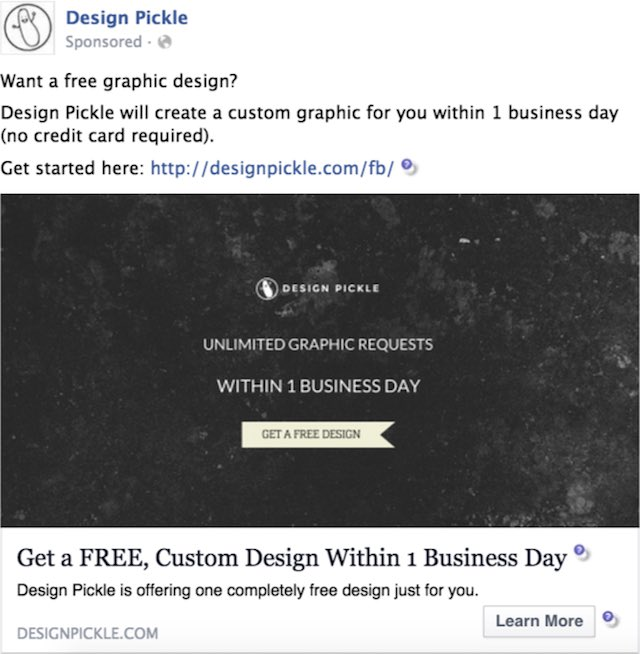 Design Pickle identified that they could use retargeting with better effect. So they implemented a retargeting campaign on the sales page visitors which accounted for 17 of the 30 new customers. More than 50% of their new customers just came from the retargeting marketing campaign, which justifies the fact that converting a retargeted visitor is much easier and efficient than converting a new one. Lesson Learned # 4 – No matter how complex, unique or new (business model) type of business you have, Facebook Ads can still work for you. Lesson Learned # 5 – Use the magnetic power of retargeting to bring back customers that already have shown interest in your products. 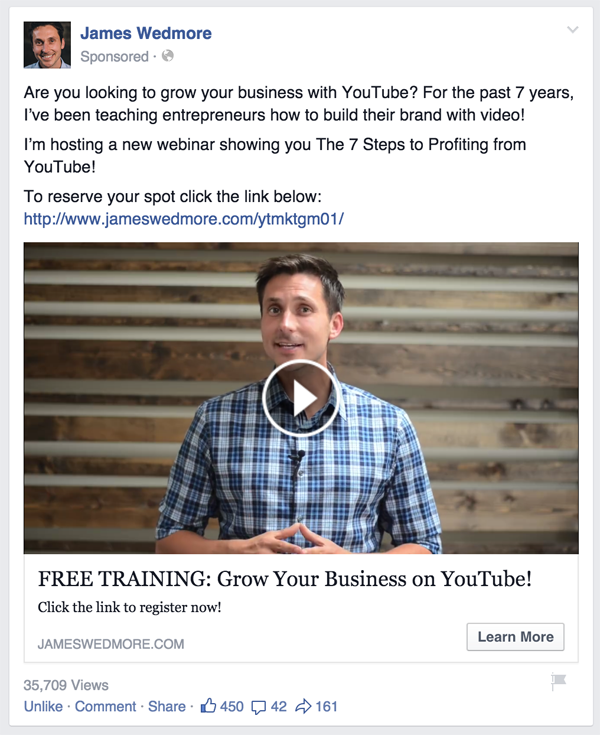 Lesson Learned # 6 – Build a sales funnel along with your Facebook Ads. 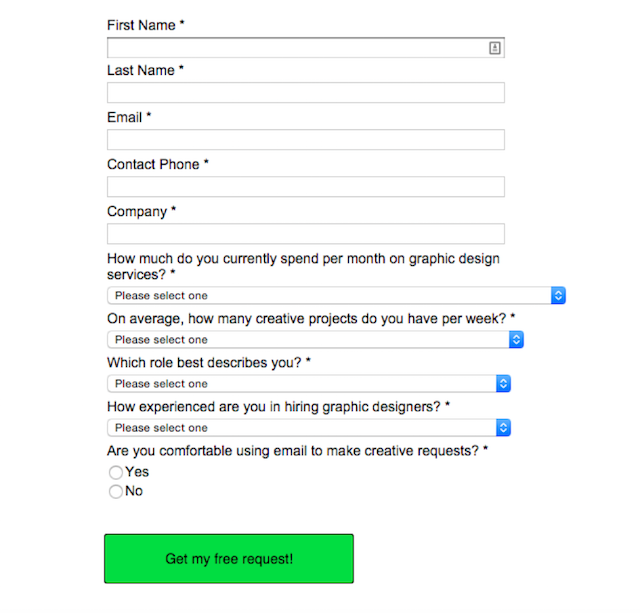 Such as in this case, people that initially saw the ad but didn’t go on to fill up the form were retargeted again. Case Study # 3 – What Will $5/day on Facebook Get You? 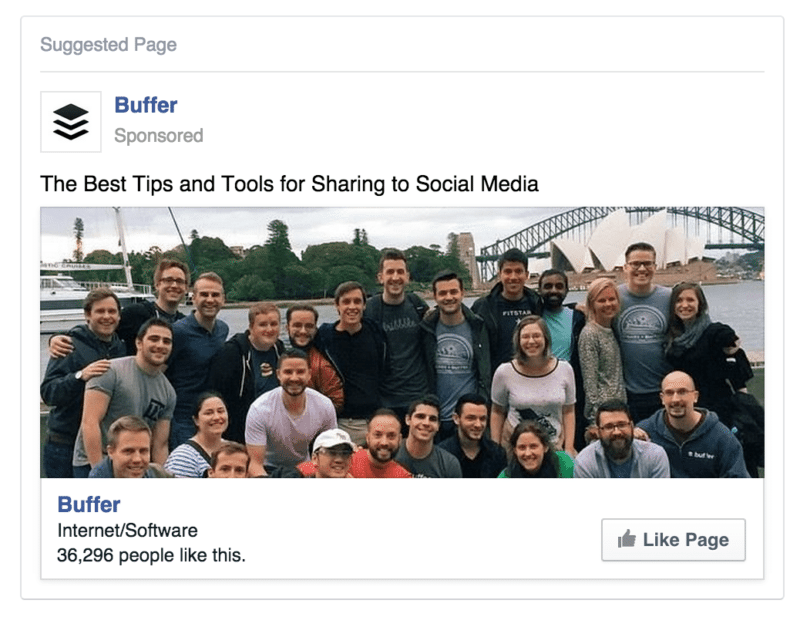 With the tremendous growth of businesses interest in advertising and marketing their product on Facebook, Buffer did a small experiment to see how a minimal investment of $5 on Facebook Ads can give them. The $5 ad spend was tested for different objectives such as page likes, clicks to website and effects on boosted post. So there is something for business seen on a small budget. As you can see, they’re targeting people who are interested in social media, excluding their fans. 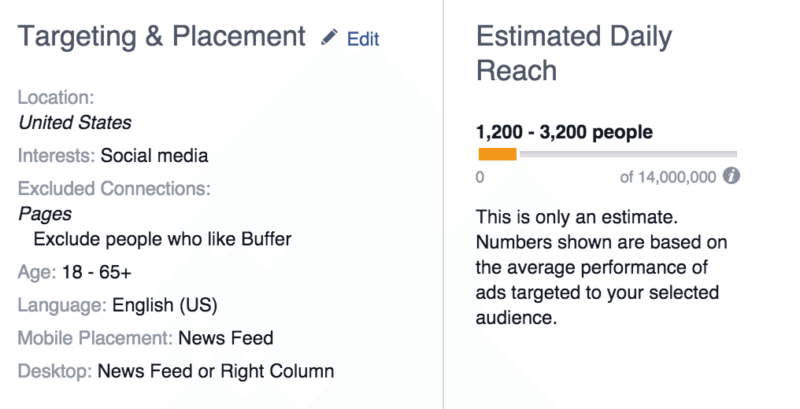 Furthermore, just to give you an example of creating a Killer Facebook Ad, see this the ad buffer created for the Page Likes campaign. Apparently, this ad comes across as very social/human (since it’s showing the team) – which is why it’s been working well for a “like” campaign. So to get the best bang out of your Facebook Ads even on a small budget, try zooming in your target audience and create ads copy that reflect or resonate with them. Lesson Learned # 7 – If you want to test the Facebook Ads waters or generate buzz for your product, a small budget can also do good for you. Not only it creates awareness for your business, but you might also score a handy traffic and some sales too in the process. Lesson Learned # 8 – You don’t need a large budget to succeed with Facebook Ads. If you target and optimize the ads well, you still can get a good traction regardless of your objective. Lesson Learned # 9 – When targeting for page likes, always make sure that you Exclude your current page followers. Lesson Learned # 10 – Make sure the ad image / creative you select, must match with the objective of the ad. Similar to the Buffer experiment, this case study by Brian Carter, a prominent Facebook Marketing and Advertising Expert and Bestselling author of the book “ The Like Economy” showed that even investing a minimum of $1/day on Facebook Ads can give you a significant reach. By consistently investing $1/day for 30 days, he was able to reach 120,000 people or 4000 people every day. 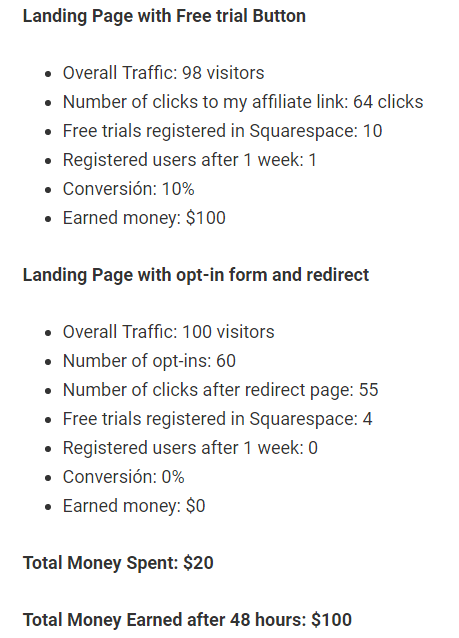 He in an active user of most advertising platforms and this is what he found as the cost to reach 1000 people using popular advertising channels. 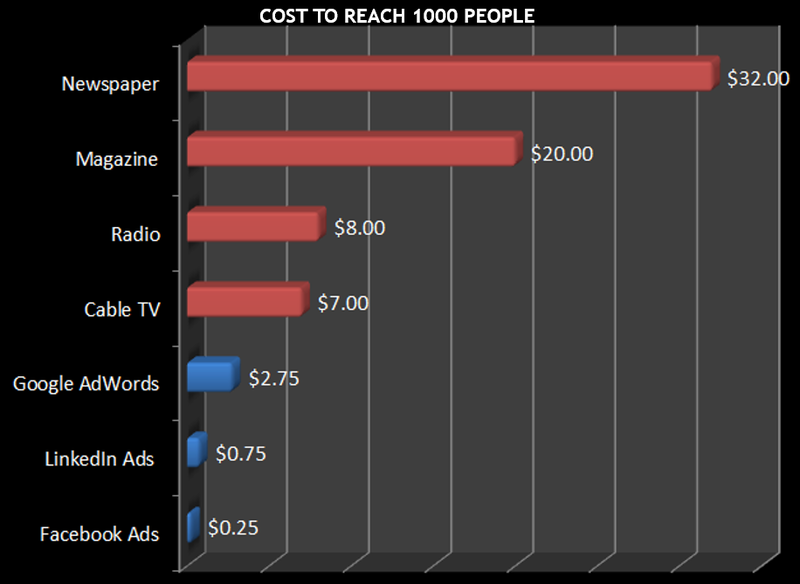 Facebook Ads are far cheaper than the legacy advertising solutions (newspaper, tv, etc. ), but also left behind its online competitors (Adwords and LinkedIn). The objective of this case study or experiment was to show that even if you start with a minimal budget, Facebook Ads can still prove beneficial. Most businesses can afford to spend $1/day on Facebook, can’t they? Lesson Learned # 11 – Budget is or should not be a roadblock for virtually any business. $1/day or $30/month is not a big deal for most businesses. Lesson Learned # 12 – Even if you are investing more on other channels for traffic or lead generation successfully, it doesn’t hurt to spend a small proportion on Facebook Ads. You might get the same number of traffic, but the overall cost will be much cheaper than all other alternatives. Check out more details about this case study here. This case study is purely about generating leads than anything else. Brian Moran, the founder of SamCart, used Facebook As to sell his courses and training products. One group was his existing email list. The 2nd group was the lookalike version of his email list. And the third was custom audience he created using the native+ advanced targeting features of Facebook. 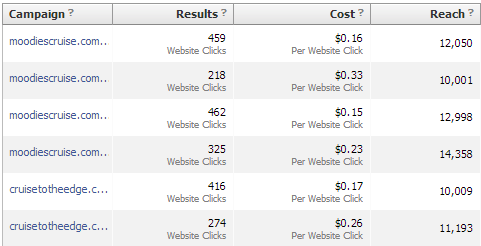 Although all of the ads returned an ROI of 2:1, the 3rd group clearly outperformed the others. So as seen, changing and testing around with your targeting can give you better results than standard targeting. Typically existing subscribers are considered a gold mine to be reaped over and over but Brian proved that you can still succeed with Facebook Ads if you just get you targeting right. Even if you don’t have a big list of subscribers, using native targeting features of Facebook can bring you in front of the right viewers. Lesson Learned # 13 – Retarget or advertise your offer to existing subscribers as well. This is particularly helpful if you want to convert your blog subscribers into warm leads or paying customers. Lesson Learned # 14 – Use lookalike audience effectively. Brian created a lookalike audience from his existing email subscribers that brought in $1546 in revenue from $895 in ad spend. Lesson Learned # 15 – Fine tune your advertising to narrow down to your targeted audience as much as possible. Brian got the best response from the custom targeting he set up. Lesson Learned # 16 – Just beside A/B testing your Facebook ad copy, split test between your targeting groups too. When seeing results from the third group, Brian invested more in it, and the results were equally rewarding. 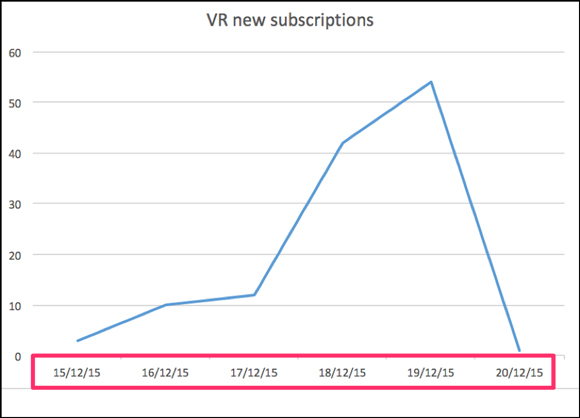 This case study is rather interesting as it started off from a failure before they got their winning aha-moment. 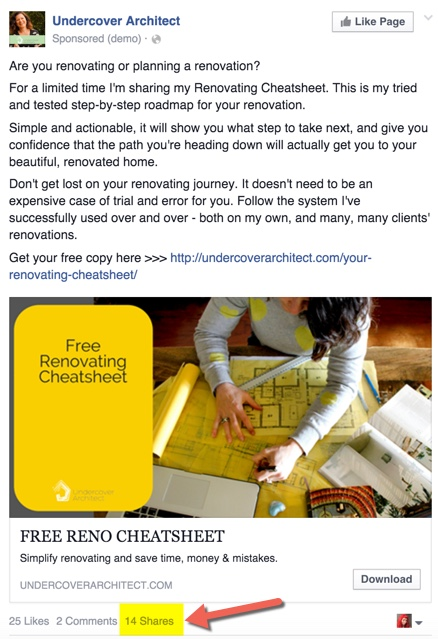 Angela Ponsford started a Facebook Ad campaign for her client who wanted to sell a high-priced $990 home renovation program to women’s in 30-40 age range across the USA. The idea was to build an email list via Facebook Ads and later show them ads for Free Webinar that will lead to the program she wants to sell. When they run the ads, they performed well, but most of the people that were engaging with it were not the actual audience perceived. She thought women in the 30-40 age group would take more interest in her program, but women above 45+ were engaging most with her ad and content. The first few days just yielded in 2 sign ups at the cost of nearly $27 each. So she optimized the ad targeting and the ad copy in line with the results they achieved earlier. The second run significantly improved the cost/lead, dragging it down to 4 leads at $5.43 each. After several rounds of testing and tuning with targeting and ad copies, she was able to bag in 400 leads at a cost $507 and some happy customers that went on buying the program. One of their best performing ads was shared 14 times which indicated that the ad copy was talking to the customer and performed well. It is essential that you keep on monitoring and optimizing your campaign- especially at the start. Angela was able to reduce the cost/lead from $27 to just $1.27 in the end by continually improving the campaign in the line of results she was getting. Unless you have a large budget to spend, test your campaign in small budget / test runs until you find what’s working or you might end up spending a lot of money with little results. Lesson Learned # 17 – There is no barrier to the type and cost of the product you are selling – you can even sell a high priced product using Facebook Ads . Lesson Learned # 18 – Do some preliminary ad test to fine tune on the audience and then invest more budget where you get the most gold. Lesson Learned # 19 – The ideal audience perceived by you might not always be correct. Lesson Learned # 20 – Sometimes the simplest of thing are most effective. By changing the word “Webinar” to “Workshop” on the ad copy, the CTR and leads doubled. Google Adwords in arguably the most used platform when it comes to online advertising. Hundreds of thousands of businesses use its daily traffic and leads. But, it’s still expensive to reach for some. Dave Rogenmoser of The Market Results, identified that cost/lead for a high-end app and web development company ranges between $250 – $1000 / lead on Adwords. Although $250/lead was a good deal for a $80,000 contract, they wanted more. Fast forward, they leveraged the narrow-down targeting capabilities of Facebook to target startups that might be in need of app development. Dave mentioned that the hardest part of the campaign for them was to set targeting for their audience. As we saw from earlier case studies, narrowing down on your target audience is much more beneficial than broadening it. And he did exactly just that- zoomed in on funded startups that might be in need of app development. With a spend of $993 across a week, they were able to score 34 leads which was far much quicker and cheaper than Google Adwords. From the first week of the run, they were able to decrease their cost/lead to $28 a piece, 89% cheaper than what it takes from Adwords. Want similar results? Check out our free targeting training here. This goes to show you that how cost effective leads from Facebook can turn out to be when compared with other options. Lesson Learned # 21 – Facebook Ads are cost effective as compared to Google Adwords when it comes to B2B leads generation. Lesson Learned # 22 – Facebook ads provide narrower targeting which helps you to laser in on your ideal audience. 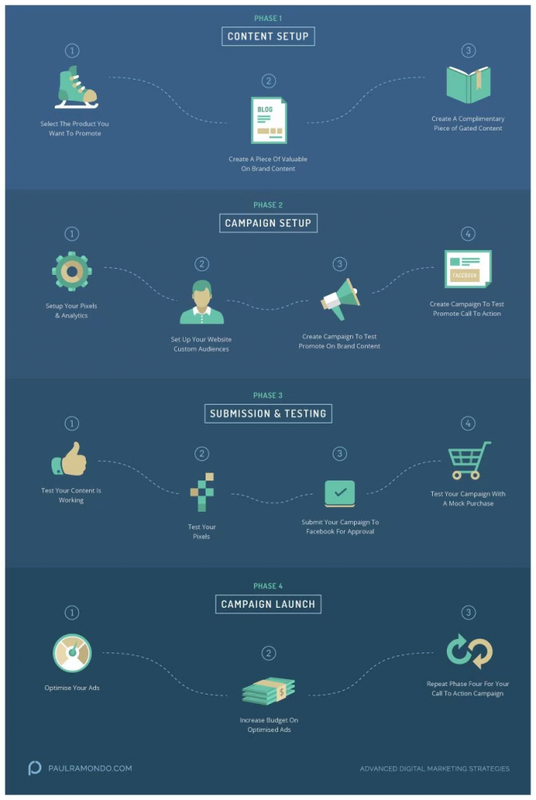 Setting up the correct targeting is one of the essential parts of your campaign. At Connectio we often hear customers saying that they have none or very limited success via Facebook Ads. Either it was not giving the desired results or is turning out to be expensive for them. 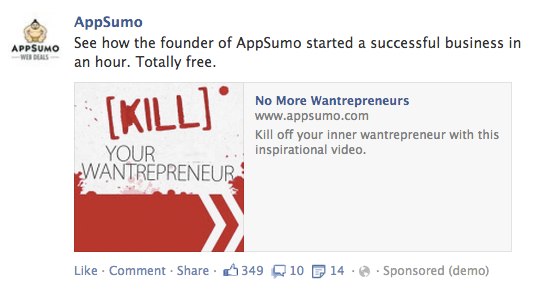 This case study is especially useful for such Facebook Ad starter business that is struggling to find their way. Philip Kleudgen, a web development, and marketing specialist for restaurant owners, shares his experience of how he started off with Facebook Ads- with no prior experience. Targeting was not set correctly. He was targeting a very little set of individuals. Used only one image and didn’t A/B test between different images or ad copies. Keep running ads that were unprofitable. After running the ad for week or so, he spent $234 on Facebook Ads with a meager CTR and earned less than the actual ad spend. Although, he was at a loss at this campaign some valuable lessons learned. But at such stage, most businesses give up rather than realizing their mistakes and optimizing their campaign accordingly. So it’s important to review and analyze performance and mistakes in your Facebook Ads campaign before ruling the platform as a failure. Lesson Learned # 23 – Take some pre-campaign time to research and identify your targeted audience. Ideally, have a separate ad set for each unique audience you are targeting. Lesson Learned # 24 – If your objective is lead generation or sales, you need to set your conversion tracking and do it right. 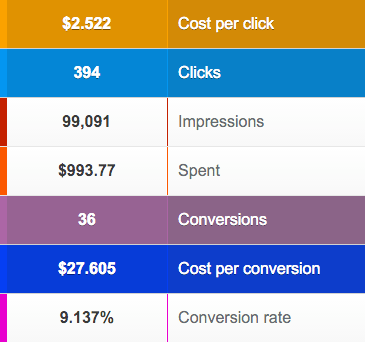 If you aren’t tracking your conversions correctly how would you analyze performance? Lesson Learned # 25 – Have multiple images and copies of your ad in hand before starting a campaign. Lesson Learned # 26 – Don’t spend that much money on ads or campaigns that are not giving any result. This case study is another classical example that Facebook can be effectively used to generate leads for B2B businesses.B2B businesses. 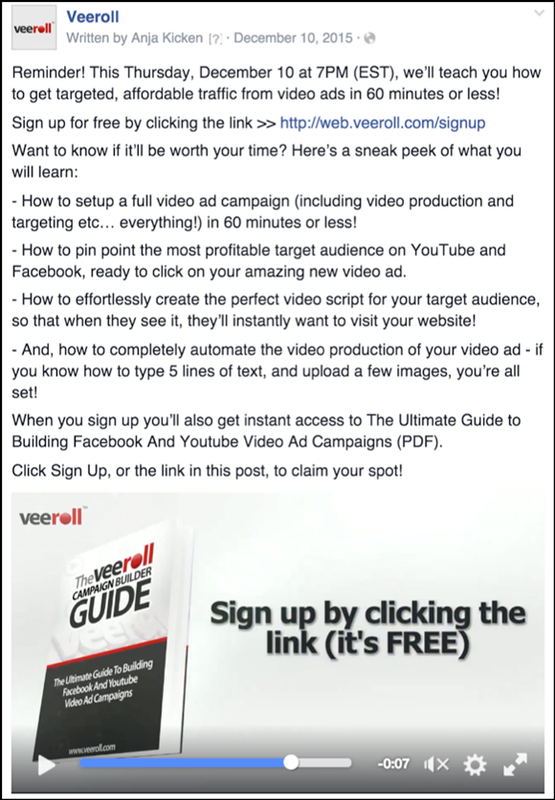 It also shows how businesses can gain better results by using video ads and continually optimizing the campaign to improve performance.Veeroll along with other places started off their campaign on Facebook and sent all traffic to a webinar funnel. They were also tracking website conversions to know how many people referred from Facebook were converting on that landing page. They set their targeting and created the ads. Initially, they were getting a higher CPC. Although their primary objective was to show the video ads, they also tested the text ad along with it and they saw a huge difference between both. They spent a little more on the video ads, but have 18X more engagement and were 3.5X more than the text ads. So seeing the video ads were proving better, they went on creating multiple video ads. This is one of the video ads they were using. Specifically, implementing retargeting on the website helped them lower their CPC and improve their conversions. At the end of 2 weeks campaign, they were able to have 122 signups that resulted in $11,000 of monthly revenue that too just from a $2500 in ad spend. That is almost 400% is profit against the cost of Facebook Ads, not to mention that the lifetime value of these customers will be way much than this. Lesson Learned # 27 – Don’t get faltered from initial road bumps. Review the performance and capitalize where most performance is achieved. Such as mobile users were engaging far more than desktop users in this case so apparently it makes sense to pour more budget here. Lesson Learned # 28 – Retargeted traffic gave better conversion then the cold traffic. Veeroll has the lowest CPC and conversion from retargeted ads. Lesson Learned # 29 – Don’t just stick to conventional ad styles. Try video ads too. They have incredible engagement and lets you communicate more message than what it takes from text and image ads. 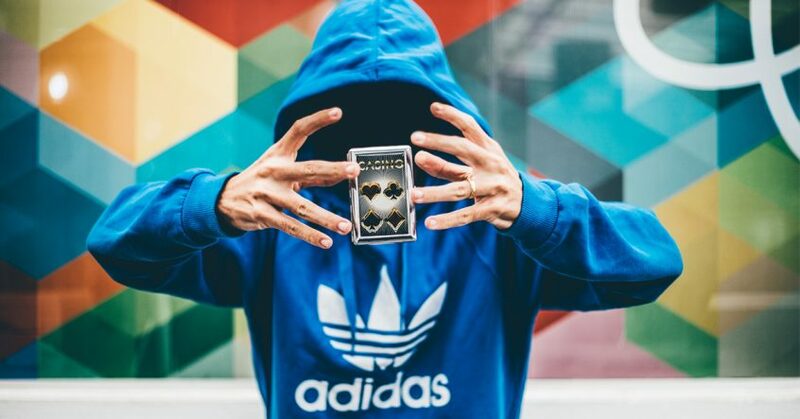 This is an absorbing Facebook Ad Case Study as it not only achieved a remarkable result but worked on an approach that will work in any niche – yes any niche. It is also very helpful for startup businesses that have none or small following and email list. Paul Romando’s Facebook Ad’s campaign for his client returned a staggering $163,969 in revenue from a mere $5989 in ad investment. That’s an insane 2737.80% of return in just 34 days of the campaign. Paul’s success formula was simple. Rather than going for the hard sell, he created a Facebook funnel, where leads first opted in on content ( lead magnet) around a product. And later, for all those that opted in, Paul would show a different ad set that directly takes them to the sale page. He calls this is the Elope Approach. His multi-step Facebook Ad Strategy builds up a connection with your targeted audience before going for the sale. This helps in nurturing leads and segmenting people that are most likely to convert. Particularly important was the Facebook Ad relevance score. A high Facebook Ad relevance score helped your ad not being flagged by Facebook and delivered to your targeted audience. So when he showed the sales ads to his existing audience, a high relevance score for imminent as these people already knew him. For most B2B businesses having a Facebook Sales Funnel is crucial. It might sound a lot of work but gains are immense, and you can use it over and over again. Lessons Learned # 30 – Rather than going straight for sales, develop a Facebook funnel through a lead magnet. Once you have subscribers in your funnel, nurture them with you offer ads. Lessons Learned # 31 – Use different ads / ad sets for the retargeted audience / warm leads. Since they already know about your product, take them straight to your money page. For example, create a different ads / ad set for cold and warm leads and make sure that you exclude each one of them in the targeting set. Sending people straight to a sales page might work in commodity niches such as online stores, but for B2B services it’s essential to capture the leads first. This case study came from Wahida Lakhani, one of the students of Claire Pelletreau from her Ad Consultant Incubator program. She was able to manage a very low cost / lead for a client in health and fitness niche. The idea was same as Paul Romano – generate leads using a lead magnet and then move on for the sale. But she tweaked it a bit. Rather than sending them to a lead magnet straight away, she added another layer. She sent the traffic from Facebook ad to a high-quality article on the blog and added a lead magnet as the content upgrade. This is uber awesome, provided you have an ultra high-quality article that drives CTR from Facebook and an equally irresistible lead magnet.To ensure they provided the detail of valuable content in the ad, she also added the lead magnet detailed information in the FB ad. The results were 10/10 relevance score from Facebook, high CTR ( 5%) and lead cost at just $0.65. Want 10/10 relevance scores also? Check out our free targeting training here. This was far less than the industry standard in health and wellness. So regardless of how competitive your niche is, there is still an opportunity for to score dirt-cheap leads. Lesson Learned # 32 – Having a high-quality content helps in generating high CTR, better engagement, and lead generation. 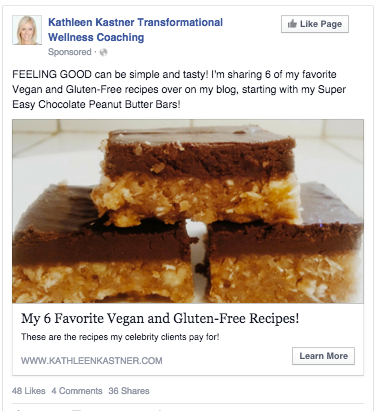 Lesson Learned # 33 – Use your Facebook Ad effectively to list all the value you are providing. This will make your case stronger and gives the reader more reason to interact with your ad. Lesson Learned # 34 – With a well thought out plan / funnel / strategy, you can shatter any industry benchmarks no matter how competitive your niche is. For startup businesses and bloggers, getting new subscribers for their blog is often challenging. They might end up producing high-quality content but fail to attract the subscribers/ optins they would expect. This case study will help you understand that how can you use Facebook Ads to generate more subscribers for your blog. Mary Fernandez shows how she gained new blog subscribers for just $0.43 each using video ads. One common thing that she experienced in building blog subscribers for her clients was that personalizing the ad gave better results than a stock-photo ad. Such as these are some examples of a personalized ad. View the Facebook from the standpoint of a potential subscriber. They are probably surfing Facebook to see what their friends are doing, following up with family and socializing but not to view ads. If your ad looks like a traditional ad, there is a high chance that they will ignore it. But if they see something relevant or something which might not be another ad from the laundry, they are more likely to engage. So where possible try to use a personal looking photo of you or your employees, instead of stock photos. Lessons Learned # 35 – Facebook Ads can be used for any objective – even if its finding or increasing new subscribers for your blog. Lesson Learned # 36 – Keep your ads as personal as possible. Your audience will be more likely to interact with your ad if it has a human effect / touch. This case study is especially useful for people and businesses that don’t have a product of their own but are promoting affiliate products. We have often seen our customers using Facebook Ads for promoting affiliate offers, but they seem to struggle in creating an effective strategy. One of the biggest mistakes they make is not using the landing page effectively. It’s not difficult or impossible to send traffic from Facebook. If you set your targeting right, you will still be able to get the required traffic. However, if you are promoting affiliate products on Facebook, don’t send them straight to a sales page but to a “bridge” page first. This is what Servando Silva of Stream-Seo did. 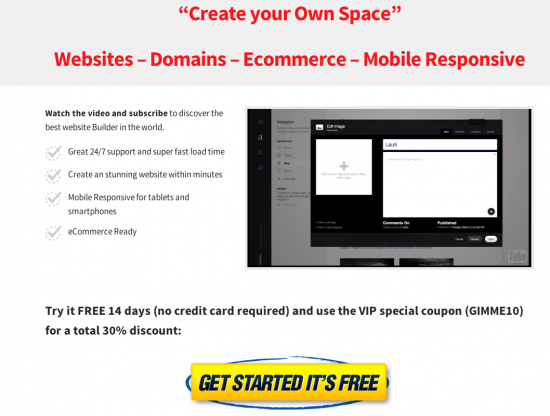 For the affiliate offer, he was promoting using two landing pages. 1 – One page that had a description of the offer and a Free Trial button that took them straight to the sales page. 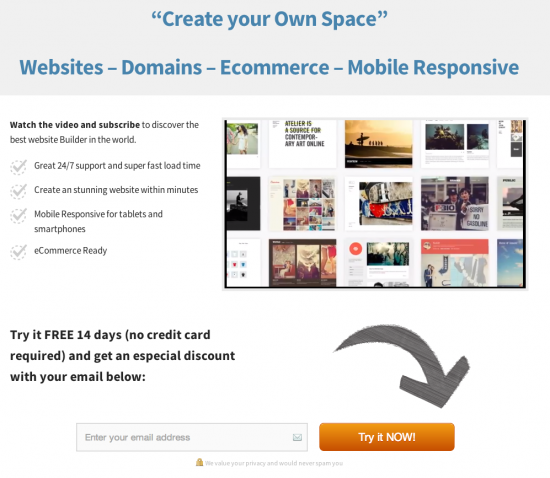 2 – One that has an opt-in form ( just for email) and after submitting will lead to the sales page. He spent overall $20 on ads on both the ads pages and was able to earn $100 in commission and 60 valuable leads. Though the sales came from the first page, he was able to score valuable leads via the second ad and landing page. Not only did he earn $80 over his $20 spend, but he also grew his list which he can leverage in the future. From the 198 people that clicked on from his Facebook Ads, almost 119 clicked on to the affiliate link. So this shows that bringing quality traffic certainly works in your favor. Lesson Learned # 37 – If you want the best ROI from your campaigns, don’t just focus on the Facebook Ad part – plan ahead where you will send the traffic and how will you capitalize on them. Lesson Learned # 38 – Create multiple funnels and objectives from different ad sets and landing pages. Such as in this case he tested two ads on two different landing pages giving him multiple segmented audiences. So there you have it – an in-depth review of the best handpicked Facebook Ads Case studies from nearly all types of businesses with variable objectives. By reviewing the above case studies, it is evident that the success of Facebook Ads lies in multiple things. But it’s also clear that budget is not a primary factor, and you can succeed with even minimal of the budget. What’s your favorite case study?